Heat the panini press, or George Forman grill will also work. Take two slices of bread and spread each side with about 1 Tablespoon of pizza sauce. Layer with sliced mozzarella cheese and pepperoni. Combine the bread slices together. Brush olive oil on the outside of the bread. You can use butter instead if you would like. 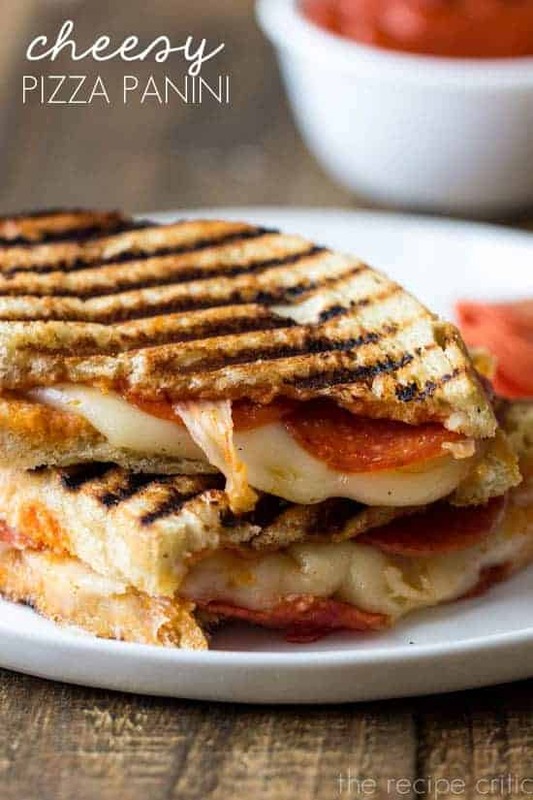 Place the sandwich inside the press and cook until it is golden brown and the cheese is nice and melted.